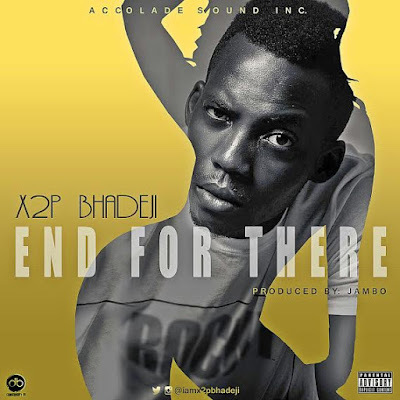 Here is something New from one of the most rated vocalist yet to be discovered, He is no other than super talented song writer/Artiste X2P BHADEJI who no doubt over the years have been able to create his own little word through his music with a fan base that will stop at nothing listen and share his music relentlessly as well as see him perform on any stage. After his last effort "Touch Down" which features "Vector Tha Viper" he makes a come with this sick tune titled "End For There" as he turns a year older today April 3rd as a gift to all his fans all over the world. Trust me this song will definitely take you away and beyond as produced by Jambo.